It is a rare occasion when Takashi Miike directs an almost completely tame film, while it borders on surprise when you have Tatsuya Fujiwara, one of the most hyperbolic actors in Japanese cinema, exercising the same kind of restraint. For that only, “Sabu” is a unique entry in Miike’s filmography. Let us see, however, how it fares as a movie. Made as a TV film to mark the 40th anniversary of Nagoya TV, “Sabu” is based on a novel by Shugoro Yamamoto, whose works also served as basis for “Red Beard” and “Sanjuro”. One of the harshest “themes” of Edo period, parents sending away their kids because they were not able to feed them, serves as the basis, as the titular character has suffered this fate in the hands of a papermaker. While still a kid, he meets Eiji, who has become an apprentice after being orphaned at a young age, and the two eventually become best friends. Nobuko’s situation is even worse, as she is sold to prostitution. The introduction of the characters forms the first scene of the film, but immediately after, the setting changes to when the three are at their 20s. Eiji has been accused for stealing and is serving his sentence in an island prison, trying desperately to survive, while a perplexed Sabu, who is not privy to his friend’s fate, is searching for him, despite a number of people telling him to do the opposite. Eventually he discovers his friend, but his loyalty is put to the test when a life changing promotion is offered to him, if he forgets Eiji completely. Let me start with the most obvious. The TV version of the film is 90-minutes, while the theatrical version, which is the one I watched, is 122 minutes. 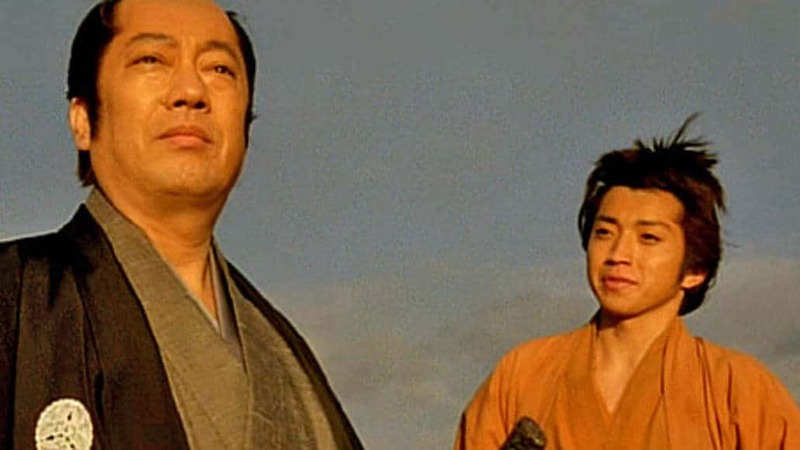 And while the extra time sheds some more light to the two characters, it actually highlights the fact that the film lags too much, with a number of scenes that seem to continue on for no apparent reason, which, in combination with the rather slow pace, makes “Sabu” quite difficult to watch. Apart from that, Miike directs a movie that focuses on friendship and loyalty, a theme that is explored quite thoroughly through the analysis of the two characters, which is the best asset of the film’s narrative. The fact that Eiji is the strong one and Sabu the weak is established from the initial scene, and Miike makes a point of highlighting the fact, both by presenting the way the former adapts to life in prison by succumbing to violence both as a recipient and as an admonisher, and through Sabu’s timid nature. On the other hand, the fact that Sabu only seems to ignore the “commands of his higher ups” in matters concerning his friend, is a testament to the power of loyalty and friendship, and also one of the main sources of drama in the film. 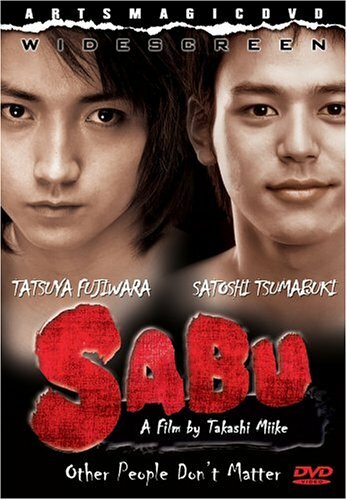 Tatsuya Fujiwara as Eiji and Satoshi Tsumabuki as Sabu personify the above elements quite adequately, while their chemistry is obvious, particularly in the scene where their confrontation ensues, in another, very dramatic sequence in the film. And talking about drama, the purpose of the female characters in the film seems to be to intensify this aspect, with Nobuko focusing on this element through a sense of nostalgia that is particularly obvious in the end, and Osue, Eiji’s girlfriend, being the catalyst of the twist in the story, in probably the most dramatic element of all. Both Tomoko Tabata and Kazue Fukiishi function well in their parts, although on an obviously secondary level. Hideo Yamamoto’s cinematography is of the best aspects of the film, with him highlighting the beauties that surround the island prison and the ugliness that permeates its interior in the most impressive way. On the other hand, the presentation of the mainland setting focuses on realism, without many efforts at artistry. Evidently, the version to watch is the short one, but again, this is definitely not among Miike’s best works, but rather one that stands just a bit above mediocrity, despite its interesting premises.